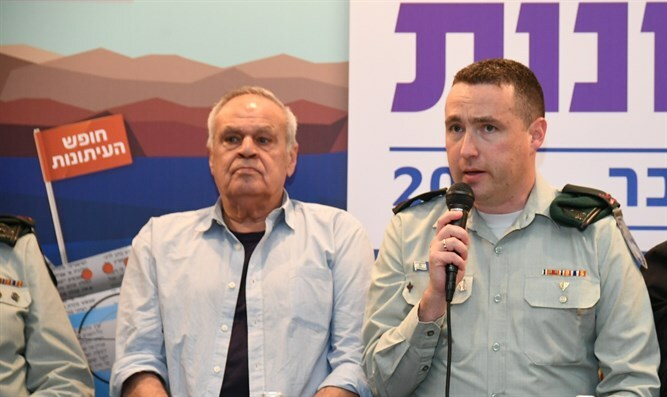 Roni Daniel, a military correspondent for News 2, stated during the panel 'Coverage of the Next War' at the annual media conference in Eilat that: "The next war will be particularly violent." "I see the arena of the next war as being in Israel's cities," Daniel said. "This will be the first war in which there will be more casualties on the home front than on the front lines, and small communities will be hit dramatically." "We must coordinate expectations for the citizens of the state. The Iron Dome cannot provide complete protection. The IDF spokesman will not succeed in conducting the discourse on the social networks, but we have to live with it. The army will have to take [these] recommendations and explain the current situation," he added. Daniel continued: "In wartime, it will be necessary [for the IDF] to be in all the Whatsapp groups in order to calm the public, and the next war will be particularly violent. During the Second Lebanon War, Hezbollah was on the verge of collapse, but we did not know it then. It is impossible to return to a situation in which the Lebanese state and its forces threaten Israel." IDF Spokesman Ronen Manelis said in response: "First of all, we are making an effort to keep the next war as far off as possible." "We are currently 11 years removed from the [Second] Lebanon War and three and a half years removed from Operation Protective Edge. However, the way we estimate the enemy and its abilities, the next war will affect the home front. It will look very different from the other side, because our operational plans and fire capabilities are stronger than ever. From the media's perspective, it will be a different war from a technological point of view. We have already invested a lot of effort so that we can communicate directly with the public in an effective manner." The IDF Spokesperson's Office also revealed that the IDF is currently setting up a war room with the purpose of combating related to military matters. "This room will monitor and refute all these rumors soon. The problem is that the rumors will often be close to the truth, and this is the biggest challenge, because this information flows into traditional media."